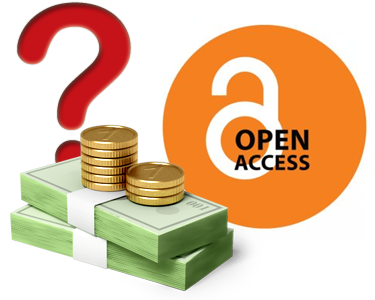 The publication of research results in Open Access is the form which has become the accepted way of providing society with an idea of the cost of the resources which are used in carrying out research, taking into account that a good part of this research is funded with public money. In addition, society as a whole – and not exclusively the academic community – benefits hugely from the understanding which is created in all areas of human knowledge. The Open Access movement emerged from the crisis caused by the costs of print publication at the start of the 21st century and from the opportunities which became available for digital publishing on the Web. Today, Open Access has strengthened its position to the full as far as journals in digital form are concerned. A recent study commissioned by the European Union concluded that almost 50% of the articles published between 2004 and 2011 in the EU member countries, the USA, Canada, Japan and Brazil, are available in Open Access on the Internet in April 2013. Brazil leads with 63% of its articles in Open Access, due in great part to SciELO. (Read more on Spinak’s post on this blog). Open Access (OA) is establishing itself by taking various routes or methods: for example, by means of the way known as “Golden Road “ which applies to Open Access journals which publish all of their articles in Open Access, or by so-called hybrid journals which publish a proportion of their articles in Open Access or follow the procedure known as “Green Road “ which archives journal articles in institutional repositories or open archives after the articles have been published in the journals themselves. At the same time, business models in sustainable Open Access publication are also beginning to establish themselves in the international landscape. Contrary to how things may appear, Open Access publication does not have a zero cost attached to it. It is however, put forward as a more economical model than journals which are financed by subscriptions. There are in existence today various business models which can make OA viable and sustainable for non-commercial publishers and profitable as far as commercial publishers are concerned. Many “Golden Road” journals charge the authors or the institutions to which they are affiliated, or even the funding agencies a publication fee which is known as an article processing charge. The amount levied for these fees varies widely between journals from commercial publishers, associations or learned societies. The following table gives examples of this article processing charge. Data obtained by the consultancy firm Outset based in California, USA, suggests that the publishing industry generated revenues of US$ 9.4 billion in 2011 and published somewhere in the region of 1.8 million articles. Using these figures, this gives an average cost of US$ 5,000 per article. According to analysts which estimate a profit margin of between 20 and 30%, one arrives at an average cost of US$ 3,500 to US$ 4,000 per article (Van Norden 2013). The largest publishers of Open Access journals (BioMed Central and PLoS) charge between US$ 1,350 to US$ 2,250 to publish peer-reviewed articles. However, this figure can go up to US$ 2,700 or even US$ 2,900 for articles published in more renowned journals. At the other end of the spectrum, there are journals such as Cell Reports which ask for US$ 5,000 to publish an article and PeerJ, a recently created journal platform for Open Access publication, which publishes an unlimited amount of articles per author at a per year fixed price which ranges between US$ 99 and US$ 299 (Van Noorden 2012b). A wide-ranging review commissioned by The Joint Information Systems Committee (JISC) which is located in the United Kingdom, estimates the cost of a print subscription journal article to be in the region of US$ 5,456 (This sterling price has been converted to US dollars using the 2007 exchange rate). This amount rises to US$ 6,494 for digital and print formats, and is US$ 4,674 for the digital format only. In Open Access, these amounts are around 30 – 35% less: US$ 3,662 for the print article, US$ 4,006 for articles published in both print and digital formats, and US$ 3,048 for the digital version only. (Houghton et al 2009). The variation in prices is forcing authors and institutions to consider how they want to spend their resources on publishing. As far as publishers are concerned, the question to be asked is knowing if their business model is sustainable and profitable in the Open Access universe. A study carried out jointly by a researcher at Helsinki University and his colleague at the University of Michigan, analyzed more than one hundred thousand articles published in 1,370 Open Access journals in 2010, and came across article processing charges which ranged between US$ 8.00 and US$ 3,900. The highest charges were found in the hybrid journals. (Soloman and Björk 2012). These amounts, however, do not always represent the actual value of the average processing cost per article. Many small Open Access publishers receive subsidies from universities and /or learned societies in the form of hosting on server sites, physical space and human resources. As a result, their article processing charges are far less than those levied by BioMed or PLoS, which are independent organizations which must operate at a profit. The largest commercial publishers whose principle sphere of operation is that of subscription journals derive their principle income from sources other than article processing charges, such as subscriptions from government programs, consortia, libraries, advertising, and the sale of offprints and other items. In some cases, they are extraordinary sources of revenue. It is estimated that the profit margin achieved by the multinational publisher Elsevier is in the region of 40 – 50%, far higher than the officially declared figure of 37% and close to the 40% which is declared by Wiley. One of the major reasons for the lower publication cost in Open Access can be found in the fact that the majority of periodicals using this publication method operate exclusively in an online environment, which eliminates both printing and distribution costs. Furthermore, the most successful Open Access publishers are the most recently established companies which have been set up from the start for Open Access publishing, and which began their activities using work flows and advanced technologies which increased the productivity of the publication processes. The highest publication costs levied by commercial companies using the journal subscription model are justified by the fact that they practice a more rigorous selection process. The publishers claim that they need to manage the peer-review process, which consists of bringing together the peer group, evaluating this process, checking that the manuscripts are not plagiarized, generating the texts in XML, producing the metadata, printing and distribution, maintenance of the platforms which manage the editorial processes and the store the content, etc. The allegation that they charge more because they offer a greater value added is contested by Open Access journal editors such as PLoS ONE, which has at its disposal a team of researchers who are well-known as editors, and conducts a rigorous peer-review, even though they do not carry out editorial activities. The key question is how many authors are willing to pay for the service they receive, asserts Timothy Gowers of the University of Cambridge in the UK who lead the revolt against Elsevier in 2012. He asks “Would scientists’ appreciation for subscription journals hold up if costs were paid for by the authors, rather than spread among subscribers?” (Van Noorden 2013). The answer to this question would help size up what is really essential at the workplace – and in the costs – of editing. Another justification for high publication costs coming from publishers of journals sold by subscription lies in the percentage of rejections. The greater the number of rejected articles in relation to the total number of articles submitted, the greater the selectivity of this journal. The defenders of this model state that the relationship between price and selectivity reflects the fact that the function of the journal is to separate out what is essential – and of good quality – from amongst many articles on the same topic. Separating out these articles through a judicious process of peer review is a cost that should be recognized. The journal Nature, for example, publishes only 8% of the articles submitted. The hybrid journal Physical Review Letters (whose per article fee to publish in Open Access is US $ 2,700) publishes 35% of submissions and PLoS (which charges US$ 1,350 per article) has a rate of article acceptance of 70%. In Brazil, most quality journals are published in Open Access. In fact, according to the DOAJ (Directory of Open Access Journals), Brazil is situated in second place with 921 journals, just behind the United States with 1,021 journals. As indicated earlier, the study commissioned by the European Union highlights the leadership of Brazil in proportion to the number of Open Access articles available on the Internet. This mode of publication was made possible in Brazil and other countries in Latin America due to two principal reasons: first, the fact that the majority of articles were edited by learned societies or associations, or non-profit university institutions, all of which make use of membership fees and government subsidies to defray the costs of the publications; and, secondly, to the SciELO Program which was created in 1998. The SciELO model was quickly adopted by countries in Latin America and the Caribbean, Portugal and Spain and, more recently, by South Africa, thereby extending the SciELO network in 2013 to a total of 16 countries. The program, which began with ten Brazilian journals, today spans an international network that publishes close to 900 active titles in Open Access, sustainable due to the dedication of their editors and learned societies, and to the financing by universities, research institutions and funding agencies that support research. Increasingly financing to sustain the journals is also coming from publication fees charged to authors. In Brazil, for example, the operation of the SciELO collection of journals is 90% financed by FAPESP, the São Paulo Research Foundation (Fundação de Amparo à Pesquisa do Estado de São Paulo), and 10% by CNPq, the National Council for Scientific and Technological Development (Conselho Nacional de Desenvolvimento Científico e Tecnológico). CNPq and CAPES (Coordination for Enhancement of Higher Education Personnel) fund the Program of Support to Scholarly Editing and Publishing. In Chile, SciELO is funded by the National Commission for Scientific and Technological Research (Comisión Nacional de Investigación Científica y Tecnológica de Chile – CONICYT), in Mexico by the National Council of Science and Technology (Consejo Nacional de Ciencia y Tecnología – CONACYT), in South Africa by the Department of Science and Technology in conjunction with the Department of Higher Education and Training, etc. SciELO’s cost of indexing and publishing online varies from country to country according to the local cost of living and also to the division of labor in the production of the digital files. In the case of SciELO Brazil, the average per article cost of publication is around US $130. This includes the services of indexing, online submission, markup of texts in XML, online publication, interoperability and maintenance of the technological platform. In the last few years, publishers of some SciELO journals began to raise additional funds to augment their budgets. The Revista de Saúde Pública (RSP) (Journal of Public Health), present in SciELO since 1998, began to charge an article publication fee as of 2012 of US$ 660 which supplements the funding received from CAPES/CNPq and from the Commission on the Accreditation of University of São Paulo Journals (Comissão de Credenciamento de Periódicos da USP). The Brazilian Journal of Medical and Biological Research, which was one of the ten pioneering journals in the initial SciELO collection, began to charge a per article fee as of 2004 of US$ 790 to domestic authors and US$ 900 to foreign authors. These amounts are lower than the international practice of benchmark journals like PLoS ONE, but much higher than initiatives such as PeerJ since the journals RSP and BJMBR carry out all the work of editing, revision and conversion to XML and, in the case of RSP, articles are published in both Portuguese and Spanish and the print format of the journal is still being maintained. The trend is towards the number of publications in Open Access continuing to show a constant but steady increase because researchers are still being tempted, for various reasons, and sometimes forced to favor the traditional model of subscription based and high impact journals. In contrast, public policies of a growing number of countries and agencies that support research mandate the publication in Open Access of the results of publicly funded research. If these mandates proliferate, this will significantly increase the number of Open Access journals. A survey in the UK showed that 60% of journals permit self-archiving in Open Access repositories of peer-reviewed manuscripts which have been accepted for publication. However, most of the authors are not aware of this self-archiving policy unless they are obliged to do it by funding agencies (Van Noorden 2012). The slow dissemination of Open Access as the preferred mode of publication is attributed to this barrier and a lack of enthusiasm, driven by the final decision of researchers and funding agencies. “I didn’t expect publishers to give up their profits, but my frustration lies primarily with leaders of the science community for not recognizing that open access is a perfectly viable way to do publishing” states Michael Eisen, molecular biologist at the University of California, Berkley and co-founder of PLoS (Van Noorden 2013). SOLOMON, D. J. and BJÖRK, B. C. A study of open access journals using article processing charges. J. Am. Soc. Inf. Sci., 2012, vol. 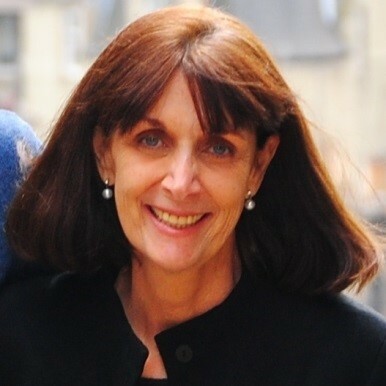 63, pp. 1485-1405.